My easel under a foot bridge by downtown Saratoga. – Just Stop and Paint It! 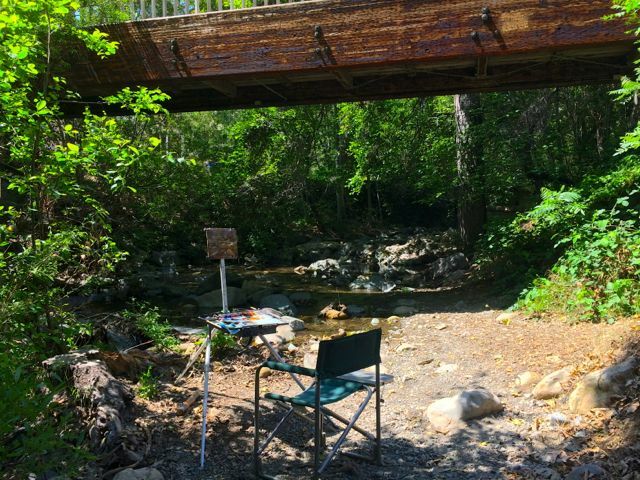 My easel under a foot bridge by downtown Saratoga.